Survival, Hunting & Outdoor Essentials There are 7 products. Product Description Bear Grylls Hatchet is a small hand axe with incredible chopping power, capable of making short work of logs, small trees and more. Weighing in at less than a litre of water the Bear Grylls Hatchet is highly transportable and helps reduce fatigue from excessive lifting and swinging. 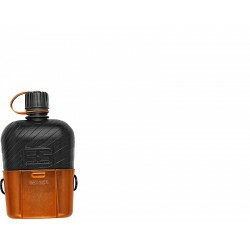 Product Description The Bear Grylls Canteen and Cup takes its inspiration from the classic military canteen but with a modern twist. The canteen has been updated with a leak-proof lock top, BPA-Free materials and has a textured exterior for a better grip whilst wearing gloves. 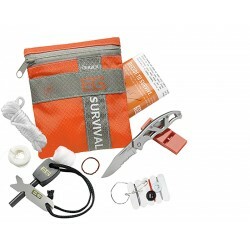 Product Description A lifesaving emergency kit containing a variety of basic survival equipment. The kit consists of anything from fire starting tools to trapping apparatus all of which fit perfectly into a waterproof bag for protection and storage. Product Description A reliable Firestarter consisting of ferrocerium rod and metal striker, with a waterproof storage compartment for keeping tinder safe and dry for when its needed. 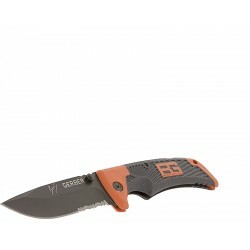 Includes an integrated lanyard and emergency whistle, as well as a set of land to air rescue instructions and SOS guide. Product Description Designed with scouting in mind, the Scout draws on Bear’s experience as Chief UK Scout and figurehead to 28 million Scouts worldwide. 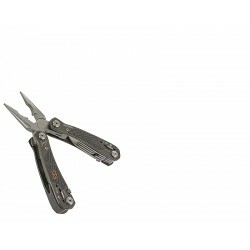 Product Description The Bear Grylls Ultimate is a mid-sized multi-tool fitted with a set of spring-loaded needle nose pliers as its central appliance, as well as a variety of other essential tools conveniently located within the handles. Product Description A lifesaving emergency kit containing a variety of survival equipment. The kit consists of anything from fire starting tools to trapping apparatus all of which fit perfectly into a waterproof bag for protection and storage.